Designed with you in mind, UPVC doors and windows will enhance the look of your property, last for years, improve your homes security and improve your home’s energy efficiency, helping you save money on your heating bills. Highly durable, UPVC is low maintenance and many households benefit from its easy to preserve wipe clean finish. Our UPVC systems include: Casement windows, Bay windows, Tilt and Turn, Sliding Sash Windows, Stable Doors, Patio Sliding Windows, French doors. Available in white, a choice of wood grains and now a wide variety of foiled and painted finishes, a Topline Installation can be designed to compliment any home. 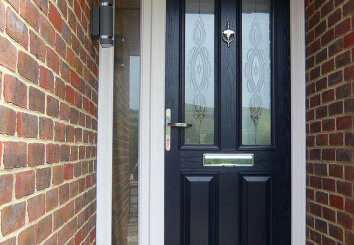 More and more homeowners today are turning to Composite doors for external installations. We offer a wide range of Secured By Design approved single rebate doors in a wide variety of colours and designs. 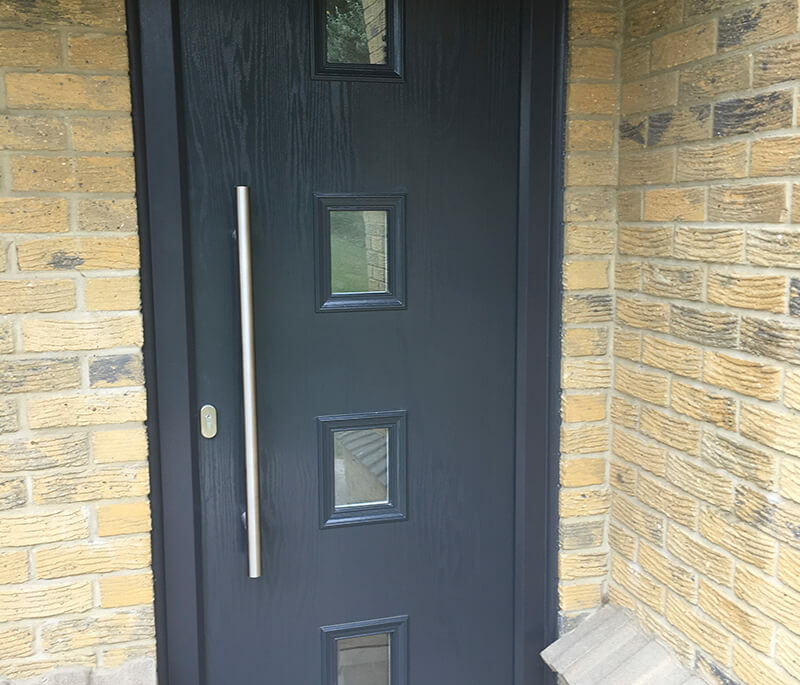 The outer skin of our doors is made from glass reinforced polyester which can take on the appearance of a traditional wooden door, but with none of the drawbacks that can come with natural timber. This skin is incredibly strong making composite doors a secure, robust alternative to UPVC or timber. Apart from an occasional wipe down, these doors require very little maintenance as they will never splinter, chip, rot or rust. The coloured finish continues right through the outer skin so repainting is a thing of the past. Our composite doors also offer fantastic thermal efficiency thanks to their high density foam core. or click HERE for our FREE ON-LINE DOOR DESIGNER from Hurst Plastics.